POLSON – JaNessa, Elijah, Myanna, Destiny, Cely, Skylar and Zach are happy to announce the marriage of their parents, Annesha Taylor and Cory Anderson, on June 17, 2015, in Polson. Annesha is the daughter of Sue Lawson of Pablo and Tim Peak of Vancouver, Washington. She graduated from college with a Bachelor of Science degree in nursing and works at St. Luke Hospital as an RNC-OB manager. Cory Anderson is the son of Phyllis Anderson of Cut Bank and Norm Anderson of Coeur d’Alene, Idaho. 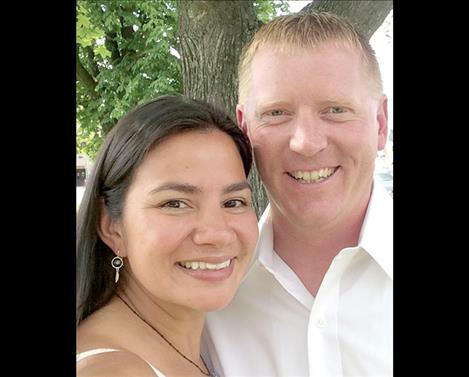 Cory graduated with an Associate of Arts degree in criminal justice and works for the City of Polson.The couple will make their home in Polson.